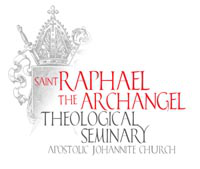 St. Raphael the Archangel Theological Seminary provides an eight-semester distance education program towards a Licentiate of Sacred Theology (STL) and Ordination to the Apostolic Priesthood in a Gnostic Christian tradition. The Priesthood formation program we offer is internally created and designed for use by The Apostolic Johannite Church (AJC) only. It is intended for only those who wish to pursue a vocation with the AJC. It is not a conventional college based program, nor is it recognized or endorsed by any other organization, religious, educational or governmental. At its heart, the Formation Program exists to provide the basic foundation that we require for those seeking to serve as clergy with the Apostolic Johannite Church before being ordained. It is not meant as program for anyone seeking a general religious education program nor is it intended for those who are seeking an exclusively contemplative path. In addition to providing the aforementioned foundation, it is a time for mutual reflection and evaluation in order to assist in better defining and developing the vocation of the individual seminarian. Academics largely take the form of readings, essays and discussion, and the course load is structured in such a way as to allow students to continue full time employment or studies. Additionally, the process of priestly formation takes place in the context of practice: community volunteer work, journalling and creative work, personal spiritual practice and ongoing dialogue between the seminarian and the Directors. 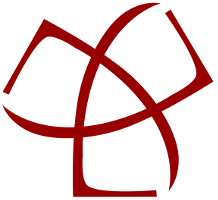 While all coursework can be completed via distance, attendance at an annual Conclave is required at least once prior to ordination. As a part of the process of Formation, seminarians are expected to enter the Minor Orders of the Church (Ostariate, Lectorate, Exorcistate and Acolytate), assist in liturgy and participate in parish life (where able). The Seminary accepts applicants in two intakes per year, at the Feast Days of the two Sts. John; June 24th and December 27th. 2. Before applying, applicants must read the website of the Apostolic Johannite Church thoroughly. 3. When ready, please write to [email protected] for an Application package. You must have this package in order to apply. Completed Keirsey Temperament Sort II test. A national criminal background check from a recognized government agency for your country of residence and any countries in which you have lived. References for review and contact. 6. There is no tuition for seminarians, but a non-refundable registration fee of $99 must accompany a completed application. 7. As a part of the application process, candidates will be required to complete an interview with two representatives of the AJC. You will be contacted to arrange these interviews. 8. Personal information (name, address, etc.) obtained during the application process (including the application itself) is securely stored and never released without your permission unless it is required and requested by a lawful warrant or court order.